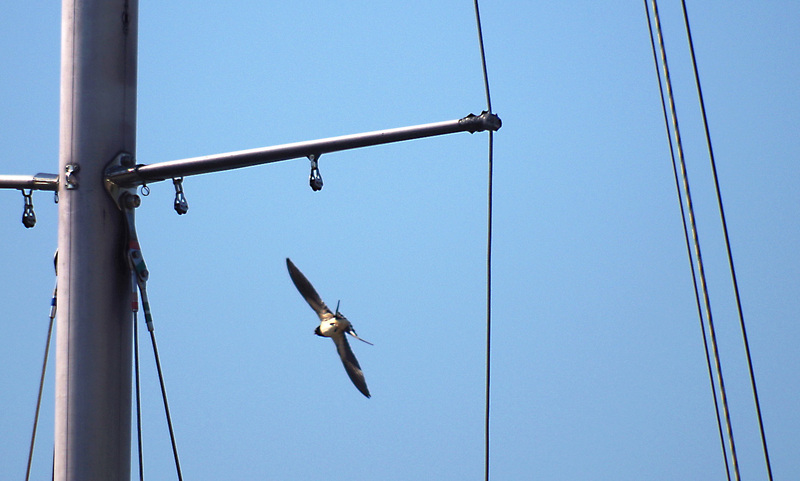 The barn swallow sat patiently on one of the shroud spreaders – until the moment I had focused … I like this pic, though. Stenungstorg, Stenungsund, on June 3, 2018. Pentax K50, ISO 100, 300mm, f/5.8, 1/600.